As a petite fashion blogger, I love discovering new petite brands and The Little Shoe Store in New York is one of my latest discoveries! Specialising in 'grown up shoes for petite feet' they have a fantastic range of petite shoes. From winter boots to sandals and stilettos, you're sure to find a shoe that fits you if you are petite like me. Based in New York City, The Little Shoe Store stocks ladies shoe sizes 1 to 6 (US sizes). I'm a UK size 3 so I wear a US size 5. I am obsessed with my brand new shoes from The Little Shoe Store. 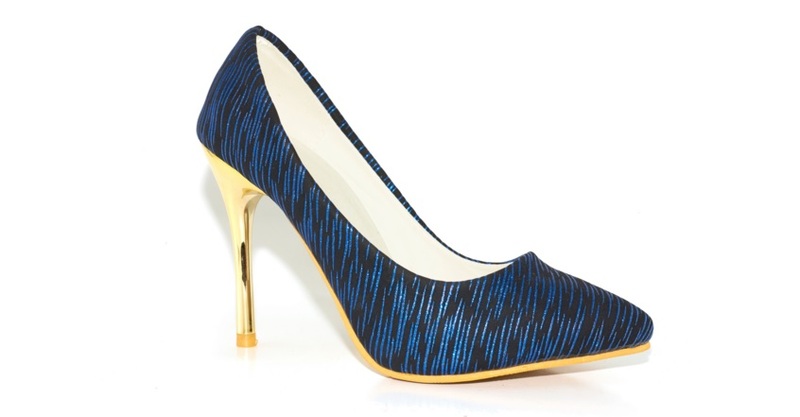 These party stilettos named Volga, have a sparkly blue tiger stripe and a classic gold heel. When I get new shoes it's important for me that they can be worn with a range of outfits, and these heels are perfect to wear with both jeans and dresses. Find out more about The Little Shoe Store here. 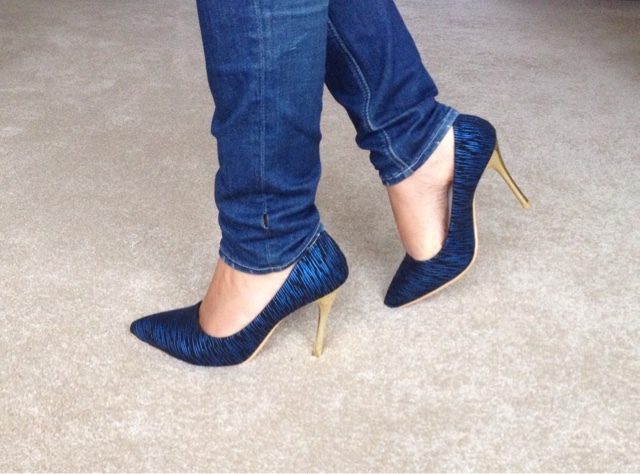 *This blog post has been kindly sponsored by The Little Shoe Store who sent me a lovely pair of petite shoes. This may also make your shoes feel smaller. This is why you should always try them on before you purchase them.